I hope you are all well and have found the time to do some crafting? Well, I have been so so busy this month, that trying to fit in writing this has been hard, but hopefully it will be worth it and you will enjoy seeing what I have been up to in my classes. I have used Brand New Products from the Brand New Catalogue. 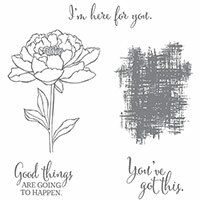 In this post you will see one of the new products, the You’ve Got This Stamp Set, alongside the Mini Treat Bag Dies which proved so popular last year, it has been carried over into this Brand New Catalogue! I hope you like the look of the projects I made and taught in my Classes this month, and fall in love with the Brand New Products as well as old faithfuls. Order online with me through my Online shop, just click the Online Shop button above this post. To begin with, we had our Brand New Stampin’Up! Annual Catalogue come out on 2 June, so I had great fun looking through it trying to choose which new products I fancied buying and then designing my June Classes using these gorgeous Products! It is an amazing Stamp Set so versatile and my Classes loved it. Here’s the Projects I taught at my Monthly Classes as well as a 1-2-1. There are so many new products as well as alot of products that have proven so popular that they have been carried over, I am sure you would love a copy of the Brand New Catalogue for yourselves to sit back, relax with a lovely cuppa and make a long wish list. Why not hold a party, that way you get to craft with friends, play with the new products and may be you get to choose some of these gorgeous New Products Free for yourself (dependent on Sales at your party). Want to know more please get in touch. Thanks for dropping by, please come back soon as I would love to show you the cards we made in a couple of 1-2-1 classes I did last week.